Headquartered in Arlington, Virginia, Dominion Electric has been serving professionals and homeowners for over 70 years. We have three lighting showrooms in the Washington, D.C./Baltimore area: Arlington, Virginia; Chantilly, Virginia; and Laurel, Maryland. Ethel A. Furman & Associates is a three generation family business (50+ years). We blend artistic creativity with practical architecture to produce magnificent and completely custom chandeliers and sconces. We work across a spectrum of price ranges to provide museum quality at an affordable price. We offer a unique experience to work directly with a designer on creating a functional piece of art, handcrafted especially for you. Our business is outdoor lighting and only outdoor lighting. We provide design, installation and first class lighting maintenance. We take a decidedly creative and artistic approach to new lighting. While we focus on low voltage LED lighting it is not unusual to blend low voltage fixtures with standard voltage light is the requirements dictate. Form, Function, Security and Aesthetics is what we try to bring to each and every job that we create. We provide services to the discriminating home owner, commercial sites, resort and hotels. Dulles Electric Supply is the Mid-Atlantic's largest lighting showroom. Located in Sterling, VA since 1985, it provides the finest in Lighting and Electrical Supplies to the Home Owner, Builder, and Contractor. In the showroom you will find anything from the most extravagant Custom Crystal Chandeliers to Ceiling Fans for your Outdoor Patio. You will also find a Lighting Applications Lab where you can see the effects of Ambient, Task, or Accent Lighting and various Lighting Controls first hand. We also feature a fully stocked Electrical Supply Counter catering to the needs of Contractors and Homeowners alike. A collection of one-of-a-kind custom made home decor items made from natural crystals and semi-precious stones. It's home decor with a little help from nature! Custom orders accepted. We offer high quality solar powered products at competitive prices, sharing with our customers the convenience and environmental benefits of using the natural energy of the sun. Formed in 2009, Silva Group has become one of the DC’s leading Custom Led Solar Lights on-line seller. Our constant focus on product innovation using the latest battery, LED and solar technology ensures year round reliability across our range. The SG supplies a businesses and organizations of all sizes including high street retailers, e-tailers and government departments. The SG team are all avid online shoppers so we know the joys and frustrations that on-line shopping can bring. Our Main services include: Solar light installation in driveways and decks, Solar tile installation (patios,walkways), Fireplace table delivery and installation, Fireplace table cleaning and sealing, Deck and driveway cleaning before solar light installation, Custom designed outdoor concrete fire tables, Custom made concrete counter-top with LEDs. Olson Weaver provides landscape lighting design and installation services to clients in the DC, Maryland, and Virginia area. Founded in 2009 the firm focuses on both traditional and contemporary outdoor lighting styles. These styles have been developed and adapted to incorporate new design options made possible by advancement in LED technology. We install projects of all shapes and sizes ranging from 10 fixture residential projects to 100+ fixture commercial installations. We are capable of custom work to meet the needs of the most demanding landscape architects and designers and have installed projects at residential landscapes, embassies, country clubs and museums across the region Our design/estimate process (3-Day turn around residential, 1-Week turn around commercial) 1. Initial phone consultation-review scope of project with designer/homeowner and determine if there is a good fit 2. Site review/design development-review existing lighting design documents or develop new lighting plan as necessary based on client needs/input. Specify fixtures. Revise as necessary 3. Project estimate/quote-Develop itemized list of all materials and labor necessary for project. Email quote to client Installation process-residential installations that use stock fixtures are installed within 1 week of receipt of deposit (assumes site is ready). Commercial and custom installation time is determined on a case by case basis as fixture lead time, site readiness, and design development varies drastically. Some of the lighting products/services we offer include: Landscape and façade lighting, pathway lighting, rail lighting, uplighting, downlighting, fountain lighting, pond lighting, patio lighting, porch lights, outdoor string lights, bistro lights, solar lights, LED backlit panels and much more! Design: Our design team is capable of producing CAD based lighting plans, system layouts, and 3D models which is standard for large installation projects. We often convert hand drawn plans to CAD or develop supplemental plans as necessary. We also offer complimentary lighting demonstrations as requested by clients. For outdoor lighting ideas or a quote on a new lighting project feel free to message us or give us a call! At OLP, we know that outdoor and landscape lighting is one of the most effective ways to add beauty and value to your home. As America’s most trusted residential outdoor lighting specialist, we know that the secret of stunning outdoor illuminations is in the perfect placement of energy-efficient, handcrafted copper and brass outdoor lighting fixtures. This is where Outdoor Lighting Perspectives owns the night. When you see how our professional lighting transforms your home, you’ll agree that our designs do more than illuminate. They captivate. Our trained outdoor lighting designers focus on highlighting all the best features of the front of your property to increase its curb appeal and create a welcoming ambiance. The architecture, textures and colors of your home will all be considered as your lighting design is created. Outdoor Illumination performs all sorts of outdoor lighting and irrigation installations. We also maintain existing lighting and irrigation systems Our irrigation team works at numerous public spaces, including multi – family residential and hospitality centers of all kinds. Our team is carefully trained in considering the needs of these unique properties Our passion is aesthetic architectural and landscape lighting. We have performed over 4,000 custom designed projects in Washington, DC, Maryland, Virginia, Delaware, West Virginia, North Carolina and Florida. We have designed and installed custom lighting at Dumbarton Oaks, The Vice President's Residence, Blair House and hundreds of other prestigious residential, commercial and institutional properties. Our dedicated team of designer, installers and service technicians can bring the most intricate design challenge to successful implementation. We are fully licensed for our specific discipline of work, and members in good standing of many of the region's leading professional trade organizations, plus the Better Business Bureau. History Established in 1998 With an extensive background in arborculture, the team at Outdoor Illumination works with a passion for landscapes. Since that time, our core focus has and continues to be enhancing great landscapes with understated lighting effects. Patrick Harders began Enlightened with the purpose to show people the beauty in light. Of all the projects people do on their properties, great lighting will have the most dramatic impact. Patrick brings his 15 years of experience, and the knowledge of installing over 2500 lighting systems to every project. He is also the President of international operations for Sterling Lighting, an LED fixture manufacturing company. In that role, his team has designed a revolutionary product line that currently has 18 patents pending. We are a full-service design, installation & maintenance company for LED outdoor lighting. Let us come out and demonstrate the impact lighting can have in your home. This is done with our free night time design demonstration. Professional Electric Inc. has master electricians with well over 40 years experience, and are lifelong area residents of the Crofton Maryland area. All of our electricians are fully licensed, bonded, and insured and service the needs of Residential, Commercial, and Industrial customers. We serve customers in Anne Arundel County, Prince Georges County, Howard County MD, Queen Annes County and other areas in Southern Maryland. For over 45 years our team has been at the forefront of lighting design for the entire professional community. From a 30,000 square foot private residence to a intimate study, every detail is important. We enjoy working with architects, interior designers, quality builders and their clients to create a finished product that goes far beyond their expectations. We excel in every phase of the design process. Bella Lighting and Design can help design the perfect outdoor lighting scene for your home or business. We provides landscape lighting design and installation services to clients in the DC, Maryland, and Virginia area. We have over 12-year experience and deal with only quality lighting companies. As more people are enjoying outdoor settings, it's increasingly important that landscape lighting offer functional - yet aesthetic - features. We offer a free custom design and consultation and a 5 star installation & service. While a well-designed lighting plan is essential for inside the home, the same is often overlooked for the exterior. 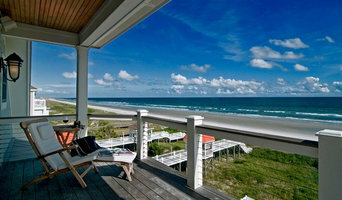 Outside the house, lighting improves safety and security, while enhancing outdoor living areas. Read on to learn how outdoor lighting can be an asset to your family and property. •Path Lighting - This provides a safe route for your family or guests to use when traveling through the backyard. 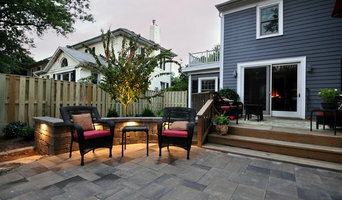 •Downlighting – Do you have a feature in your backyard you’d like to showcase? Downlighting illuminates from an elevated location and highlights the surface area below. •Uplighting – If your backyard is full of unique and beautiful tress, you should consider installing uplighting! This illuminates the tree from below, accentuating its distinctive features. •Flood Lighting – These illuminate your home’s best feature, whether it’s a statue, fountain, or beautiful oak tree. •Shadow Lighting – For dimensional lighting, choose shadow lighting which emits a light onto a surface that is in front of another object. This object can be a wall, garage, tree or any other stationary item. Bella Lighting and Design provides our clients with truly professional outdoor lighting services yet provide that personal touch from our initial meeting to project completion and beyond. Once a quote is accepted, we will work hard to complete installation in a timely manner and keep the client informed of our progress. Bella Lighting and Design can also give you the look you want with LED and other “Green” products. We are proud to work with our clients to make sure the work we do fits in with the natural surroundings of the project. Let us help you with your outdoor project, or by designing the landscape lighting for your new home or business. Stop in to browse or make an appointment. For outdoor lighting ideas or a quote on a new lighting project feel free to message us or give us a call! Think about how you plan to use each area of your Crofton, MD home. It's important to communicate to your Maryland lighting designer which space will be used as an office and which will be a media room, for example, as these will require very different lighting methods. In addition, consider how you'd prefer to control the lights. Lighting technology today includes dimmers, sensors, photocells (that let lights react to the amount of daylight in a space), programmable scene controls (that let you program different settings for varied lighting) and whole-house lighting controls (that let you control all or a portion of your home's lights from one source), allowing you to tailor your lighting controls however you wish. Find a lighting designer on Houzz. 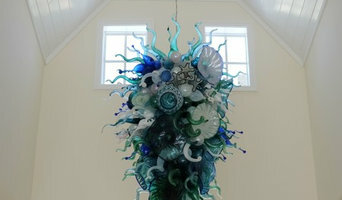 Narrow your search in the Professionals section of the website to Crofton, MD lighting designer. You can also look through Crofton, MD photos by style to find a lighting design you like, then contact the designer.